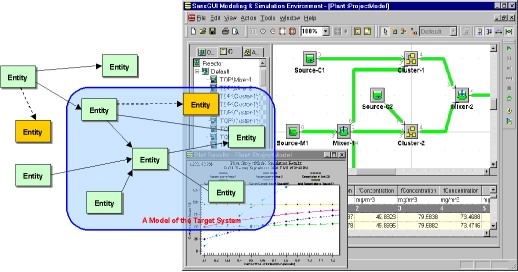 Through many diagrams, screen shots, and brief explanations, we hope that you can grasp what SansGUI Modeling and Simulation Environment has to offer and realize how much time and resources it can save you. You can read all the exciting features sequentially by joining the SansGUI Feature Tour or selectively by clicking on the points of interest in the following tables. You can read more about SansGUI by browsing through SansGUI manuals on-line. To obtain a free evaluation copy of the software, please go to our Download area. Contact info@protodesign-inc.com for more information about SansGUI. Send us your comments on-line. We appreciate any feedback and suggestions from you.